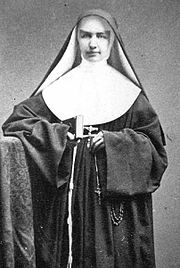 date of the person’s death, which in Mother Marianne’s case was Aug. 9, 1918. The 27th Sunday through the year trumps the feast of the Holy Guardian Angels. BUT I can’t resist thinking about angels. Today in Catechesis of the Good Shepherd I spoke to the children about the angels, though I centered my thoughts on the Archangels but the Guardian Angels factored in, too. Remember to say a prayer to your Guardian Angel intercession before God the Father. Our belief in the existence of the guardian angels is not a pious idea that we teach to children; angels are biblical; Jesus speaks of the angels and the Church continues to give witness to the existence of angels in our lives. So, what can we conclude? We conclude that God has concern for every human being by the protection of the Guardian Angels. Pope Benedict encourages us not to forget our angels in weekly audience (read about it here). O God, who in Your unfathomable providence are pleased to send Your holy Angels to guard us, hear our supplication as we cry to You, that we may always be defended by their protection and rejoice eternally in their company. Angels are spirits. 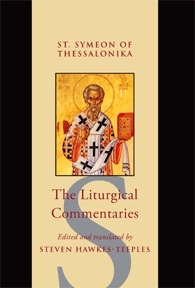 The Catechism of the Catholic Church teaches that “The existence of spiritual, non-corporeal beings that Sacred Scripture usually calls “angels” is a truth of faith (329). What do these spirits do? What is the nature of spirits? They angel. Again, from the Catechism of the Catholic Church we hear of the Saint Augustine of Hippo who taught “‘Angel is the name of their office, not of their nature. If you seek the name their nature, it is ‘spirit’; if you seek the name of their office, it is ‘angel’: from what they are, ‘spirit’, from what they do , ‘angel'” (329). Angels “are servants and messengers of God. Because they ‘always behold the face of my Father who is in heaven’ (Mt 18:10) they are ‘the mighty ones who do his word’ (Ps 103:20). 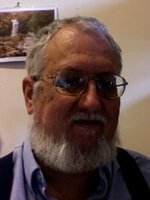 The Jewish people are familiar with angels –there are plenty of angels in the Old Testament (see Genesis 28-29; Exodus 12-13 and 32:34; Psalm 90:11; Job 38:7 among many sources). The Prophet Daniel (c. 550BC) speaks of Michael as “the great prince which stands for the children of His people.” And Our Lord speaks of the 12 legions of angels as being at his side. Do angels exist? I think so. The witnesses are hard to beat. 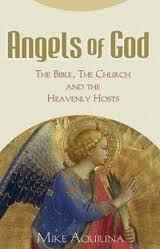 Mike Aquilina’s 2009 book, Angels of God, is an excellent resource. I recommend all of Mike’s writings, so purchase everything!!! Pray for the monks of the American-Cassinese Congregation who have the Holy Guardian Angels as their heavenly patrons. Monasteries in this congregation places like St Vincent’s (Latrobe, PA), St Anselm’s (Manchester, NH), St Martin’s (Lacey, WA), St Mary’s (Morristown, NJ), Newark Abbey (Newark, NJ) and a few more. 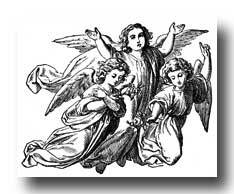 No better day than today to recall the work of the archangels: Saints Michael, Gabriel and Raphael. 4. he guarantees Jesus Christ’s promise to that the gates of hell won’t prevail upon the Church and that the Church will last to the end of time. 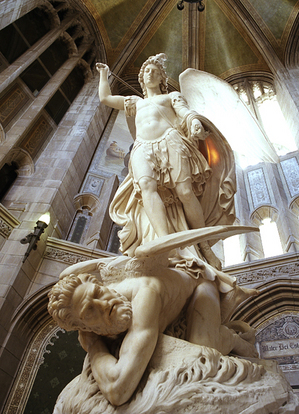 Saint Michael, the Archangel, defend us in battle. Be our protection against the wickedness and snares of the Devil. May God rebuke him, we humbly pray. And do thou, Oh Prince of the Heavenly Host, by the power of God, cast into hell, Satan and all the other evil spirits who prowl about the world, seeking the ruin of souls. Amen.